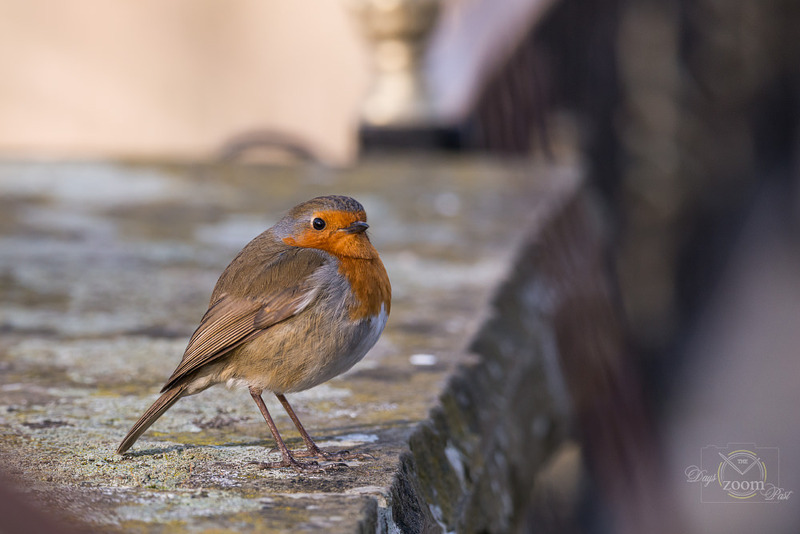 Want to have a go at robin photography but aren't sure how to do it? Have a read of these 10 quick tips. Robins can be found in their numbers and as many would agree, they are very photogenic and this becomes even truer at this time of year when the cold weather sets in, bringing snow to cover the ground. We know robins are a popular photographic subject but for those who've never tried to photograph a robin before, here are a few quick tips to help you out. Plus, most of the tips can be used for capturing other garden birds who visit your garden this winter. Telephoto lenses are a must as robins, and other garden birds, will look tiny in your shot without the pulling power of a longer lens. Around the 300-400mm mark should give you the frame-filling shots you're looking for. For sharp images, a tripod is a must and if you have one, fit a ball head to it as you'll be able to adjust the camera's position at a much greater speed. Struggling to find buttons and dials is not what you need when you can quite literally have a few seconds to capture a good shot so make sure you know your camera well before you take it outside. You can't expect to go into your garden and find a robin waiting to be photographed. To attract birds, you need to set up feeding stations to encourage them to visit regularly. Having a mixture of different seeds, peanuts and fat balls on offer will attract varied species too. 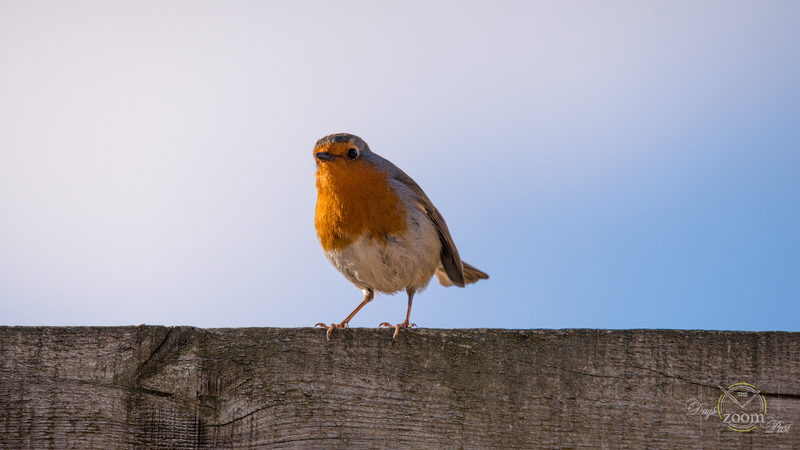 Robins like mealworms and berries, which can start to be found on bushes, are always popular with certain bird species. If you move your feeders to a particular spot when taking photos, always remember to move them back after as many birds may have become reliant on them. Don't suddenly stop feeding them either. Placing branches next to feeders will mean that (hopefully) they'll land on the more photogenic branch before heading for the feeder, giving you the chance to capture a more natural shot. Garden furniture, tools and other non-natural objects can work equally well as a perch, particularly when covered in a layer of snow or frost. Hedging always works well as backgrounds as when you blur it, the colours will look natural. Whatever you choose, make sure it's not too busy. If you are going to brave the cold then invest in a hide because as the name suggests, this will keep you 'hidden' from view so the robin is less likely to fly off. You can also position the hide to give you the best vantage point but do wrap up warm as sitting for an hour out in the cold will soon have you wishing for your slippers, a hot drink and a comfy seat next to the fire. If you don't fancy sitting in the cold, there are two methods that allow you to work from inside your home. The first is with a IR release but for this to work you do have to venture outside for a little while so you can set your camera up and set its focus. Unlike when you're working in a hide, this method means you can't adjust the composition or focus, making the method a little more limiting. The second option is to bring your camera and tripod inside so you can shoot through a window (if you have one overlooking your garden). Position your tripod so your lens is as close to the glass as possible (without touching it so when doors etc. shut it doesn't shake your lens) and switch your house lights off to minimise reflections. A lens hood could also be useful as this will shield your lens or you could try cupping it with your hand. Small birds are fast and they don't tend to stay still as even when they are feeding they twitch their heads to check what's happening around them. For this reason you need a high enough shutter speed to ensure they stay sharp. You also need to make sure your not throwing the tips of tail feathers and beaks out of focus when you're trying to create your out of focus backgrounds. Try around the f/8 mark but do adjust if needed. Also, use your LCD screen and zoom in on the beak and tail tip areas to double-check everything's sharp. You may find that adjusting your focus manually gives you more accurate results and as winter light can be weak, don't be afraid to use higher ISOs to reach the shutter speeds you need. Make sure you have a seat to hand as you can be waiting a while for your subject to show and then it can take even longer to capture a shot you're happy with. You will spend quite a lot of time patiently watching so if you are going to be working outside you may want to consider taking a flask of something warm out with you. Don't just think that cold, crisp, sunny days are when you should be out capturing your Robin shots. Yes, it's not as pleasant but a few drops of rain or even snow captured at slightly slower shutter (1/30th – 1/60th of a second)speeds can add an extra level of interest to your images. Plus, a scene decorated with snow with a robin taking centre stage will always make a great image for a Christmas card.